Yes. Lol. Mostly street though. I got involved with them after being impressed with a shock I bought for one of my own bikes. They're a top quality product at reasonable prices, fully rebuildable, 2 year warranty, custom spring rate and length to your spec, C spanner & worldwide delivery all included in the price. Pretty much Ohlins quality at pretty much Hagon prices. They are installing an AK-20 kit in the front and revalving and re springing the rear shock. I've had other bikes done and the results are nothing short of amazing. I'm starting to look into this as well for my 14 TEX. Tired of the diving and not feeling super secure with the stock stuff. To start, I'd like to try replacing front and rear springs without any other changes. For the front, I see they have Race Tech springs. However, for the rear, I'm seeing something called "SK Spring", which I've never heard of. Google says it is a spring company from India? Does anyone have any more insight into this? What are the heavier riders of the TEX using? All ears to recommendations. I'm also talking to Exceptional Suspension Products who might do the work, but they'd still have to source the springs. I'd rather do the research on springs myself to save them some time. Please, please, please put some bungees to hold those calipers. It hurts me to see that they're hanging by the hose. This is the old shock spring that Race Tech carried a few months ago, it’s a rebranded Eibach spring. 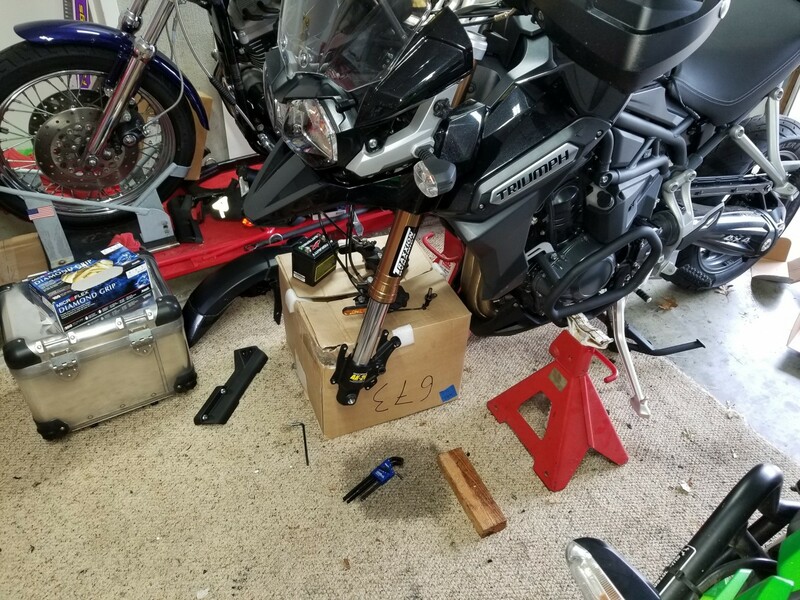 My son works for Eibach so I got a very good deal on the forks and shock springs. All I did was have the springs replaced and new fork oil (5wt full synthetic). I bought my ‘15 TEx this past February brand new, never prepped. Your ‘13 needs fork oil replaced anyways. The springs and oil absolutely transformed the bike, I’m 230lbs. For solo riding I don’t need to crank up the preload all the way, I'm ten clicks back from max in the rear and six back in front. Shoot me a PM if you’d like to talk. 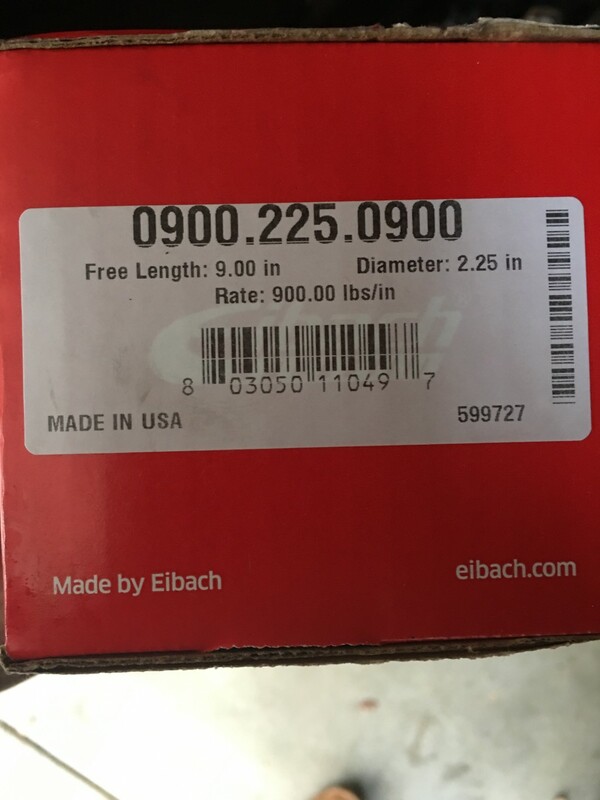 Eibach is a German Company that makes what is considered by many, the best you can buy. Thanks, Fred. 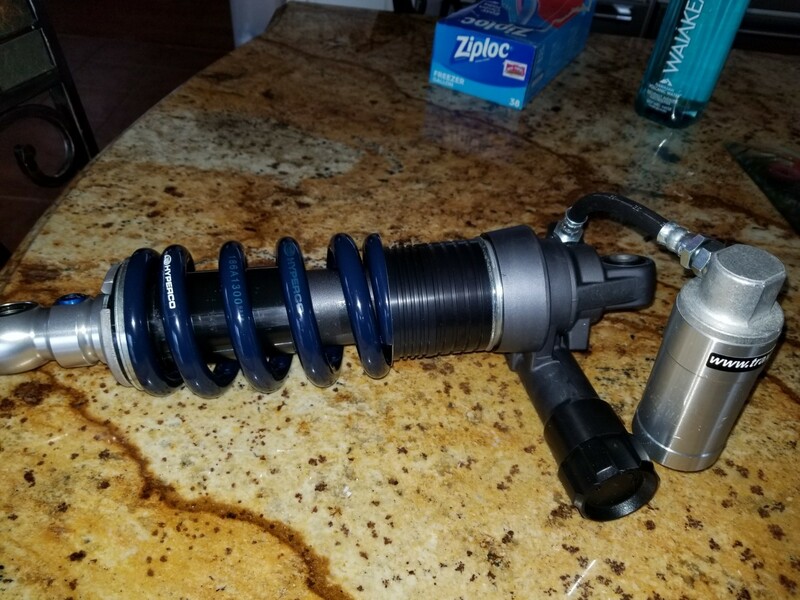 So SK Spring is actually an Eibach one? Is there any supporting evidence? Not looking to question your word, just want to better understand. They should call it something else because the only references to SK Spring on the internet is a company from India. I might send you a pm later today to discuss details of your experience with race tech. Race Tech changed their website after I used it to reference my needs. The SK thing I'm all but certain is not Eibach. I'll give my son a call and find out. My bad memory I guess. I checked back on my texts to my son and discovered I didn't use the SK# to identify what I needed. I used SESP 902250900 which is the identification numbers to the right of the SK#'s on the Race Tech's chart. Also just spoke to my son....as far as he knows, they still make the Race Tech springs.